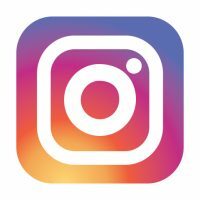 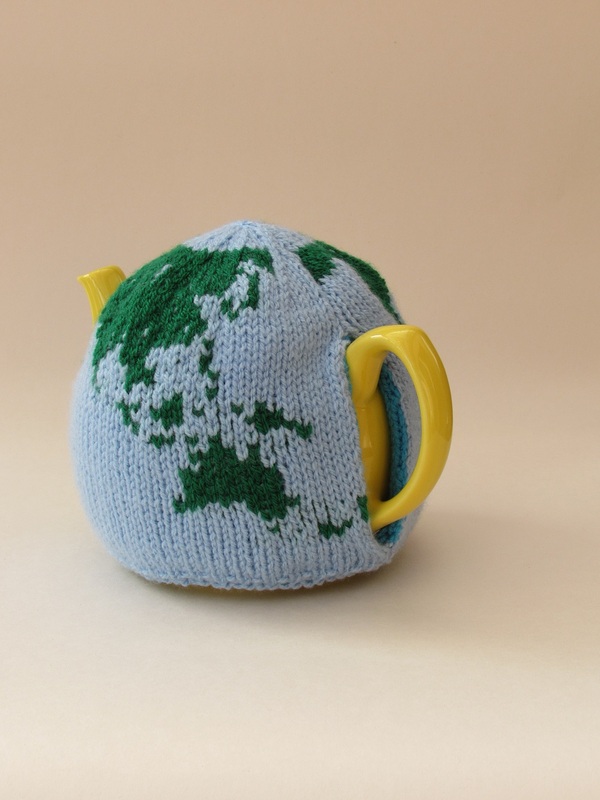 Have you ever wanted to try tea from around the world? 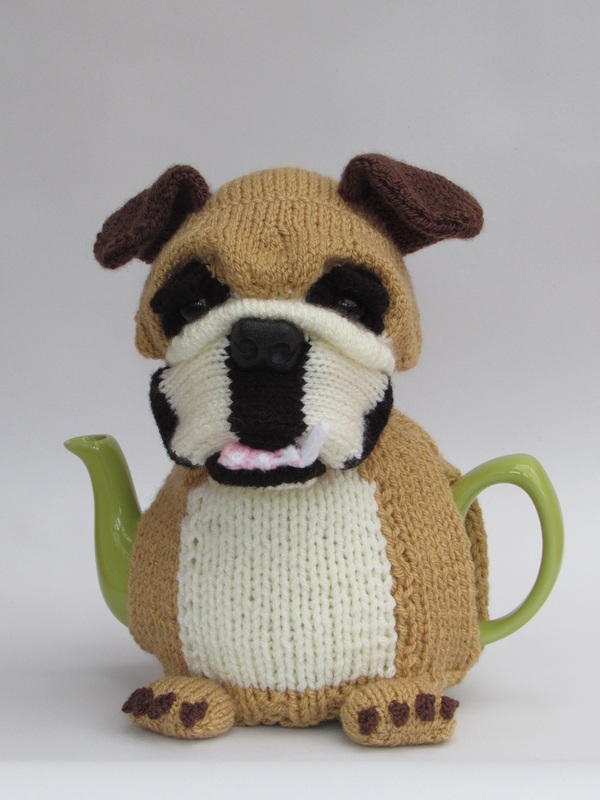 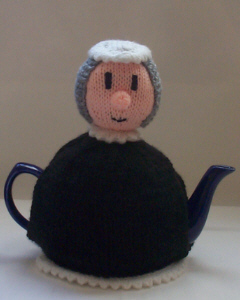 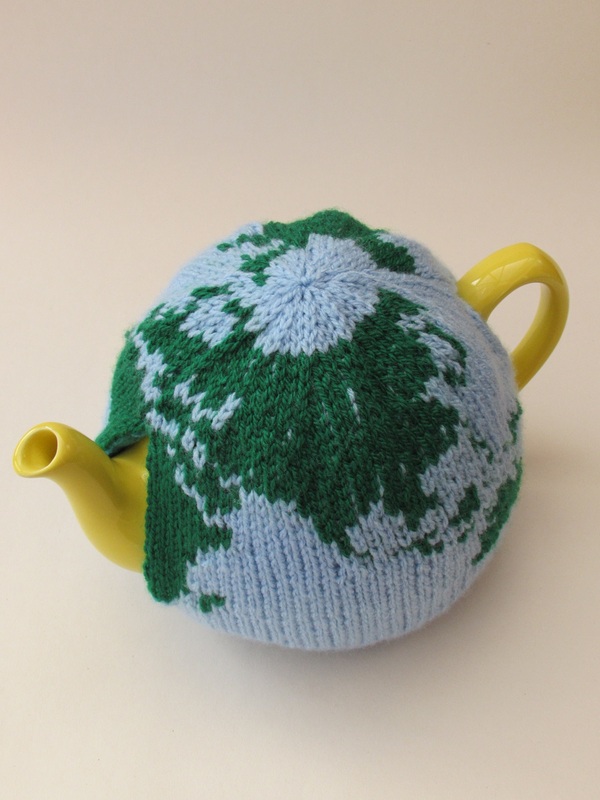 This tea cosy can transform your teapot into the world, so technically, you would have world tea. 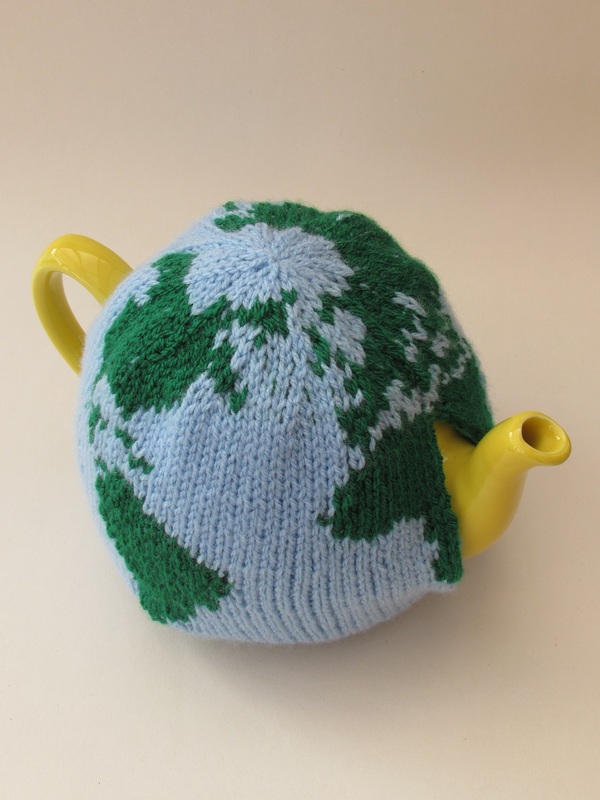 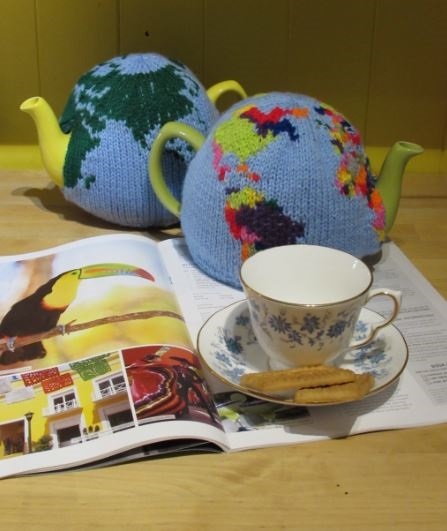 The world tea cosy is knitted in light blue and green and depicts the world as you might see it from space or before the news at 10. 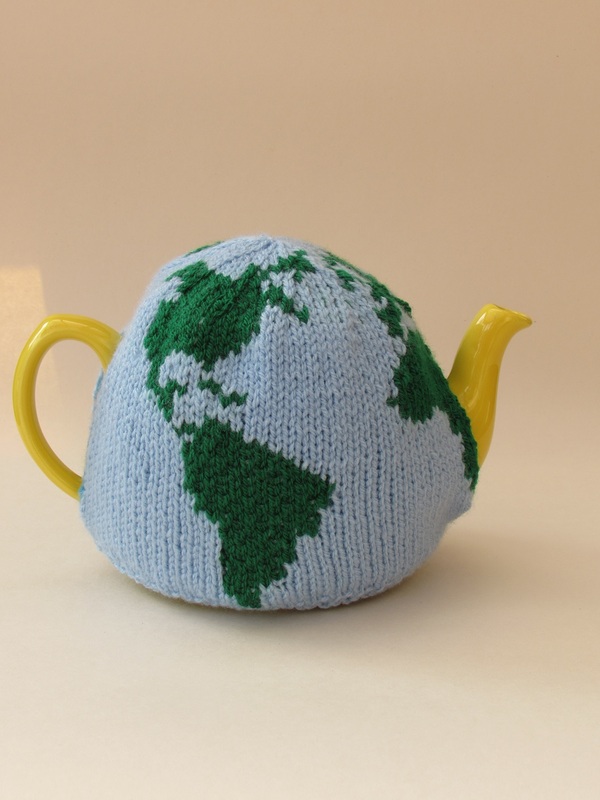 America is on one side of the tea cosy, whilst Europe, Asia and Austria are on other side. 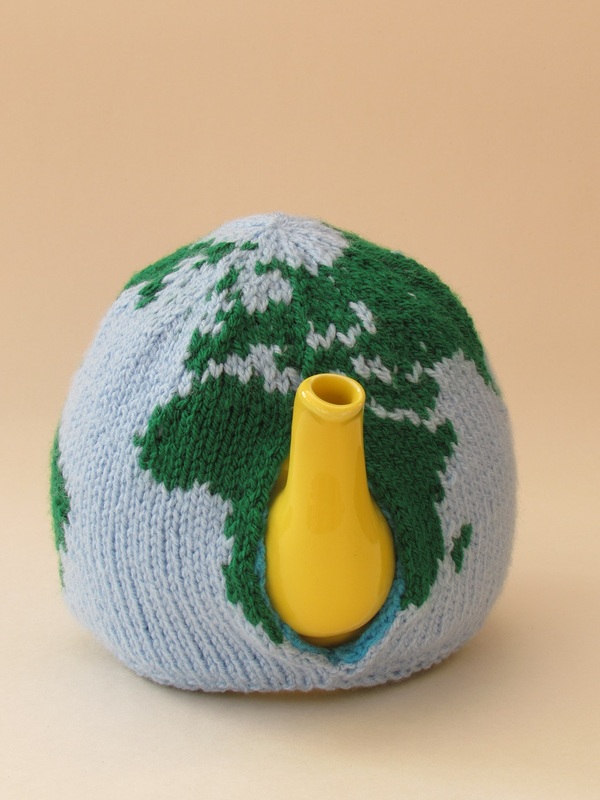 Africa lays on one of the opening and in the photos that is on the spout of the tea cosy. 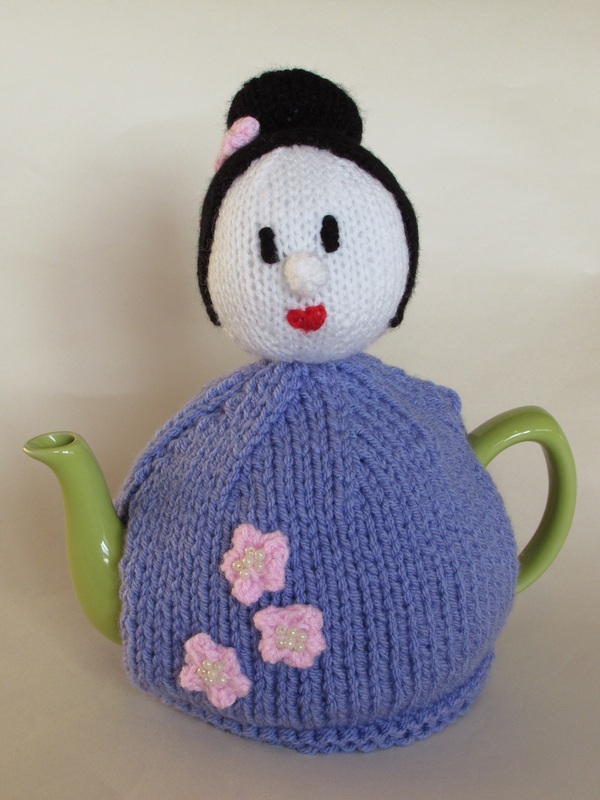 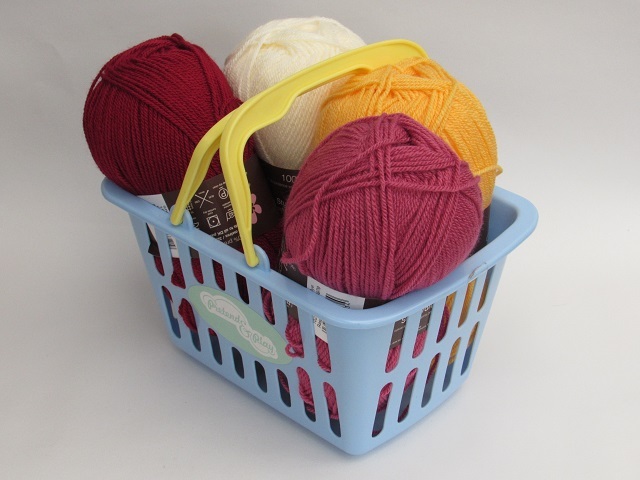 The tea cosy is knitted in double knitting and is fully lined with a double knitting thickness knitted liner, we don't want the tea getting cold. 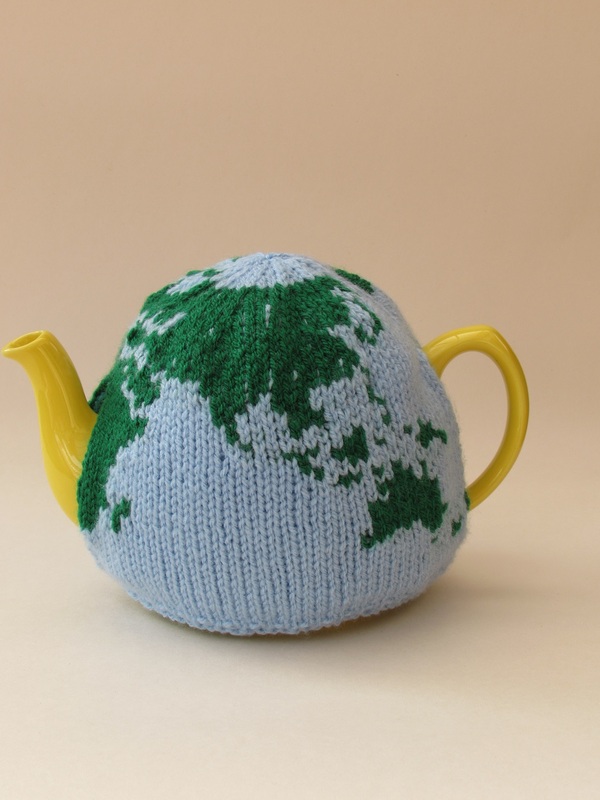 The knitting pattern to knit the world is the same pattern as the Globe tea cosy knitting pattern, you simply knit all land parts in green instead of the bright colours for each country. 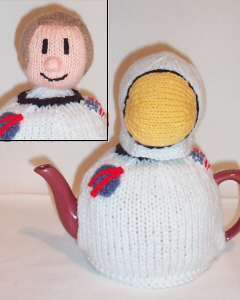 If your world is a lovely hot brew of tea, you'll perhaps think that the world tea cosy is out of this world.